If there’s one thing we Southerners love, it’s our dogs. This promotion is a great success all around, no matter which pup is chosen! If you’ve read all of my previous posts, you may remember me mentioning the Neuse River Golden Retriever Rescue Group before! Yay for CarolinaNewswire sending me the info on this and having the opportunity to hopefully help the Neuse River Golden Retriever Rescue Group (NRGRR) win a great donation! RALEIGH, N.C. — Hank, a local rescued Golden Retriever is now just minutes away from stardom, fame and fortune – for the Neuse River Golden Retriever Rescue Group (NRGRR). Hank, a rescued NRGRR dog from 2006, has been selected as a finalist in Circuit City’s “Find the Next Firedog” Contest. As a result, NRGRR will receive an initial $1,000 donation and an additional $1 for each vote that Hank receives. If Hank wins the grand Prize, NRGRR will receive a $50,000 and Hank will star in a Circuit City commercial. Hank’s family is very excited for him but knows the real winner is NRGRR who could potentially see a big donation from this contest. Hank is the only Golden Retriever in the contest and the only dog from North Carolina. To vote for Hank, go to www.firedog.com and look for Hank’s photo in the photo contest or go directly to Hank’s photo at http://207.56.151.5/view/?id=16. From there, you will also be able to see the other dogs in the contest and read details on the rules and prizes. Voting ends on Friday, January 25. ATTENTION MEMBERS OF THE MEDIA Hank and his family are available for a limited number of interviews. Please call NRGGR at 919-676-7144 or via cell at 919-656-2253. 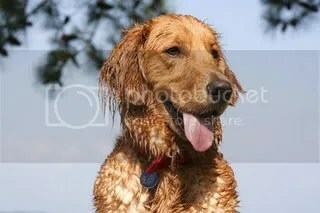 Neuse River Golden Retriever Rescue Inc. (NRGRR) is a 501 (c) (3) non-profit organization staffed by volunteers who are dedicated to helping unwanted Golden Retrievers through rehabilitation and adoption. For more information on NRGRR visit http://www.goldenrescuenc.org/.”Don’t forget to vote online and forward this on to your friends, family, and dog lovers everywhere!